I know this van. 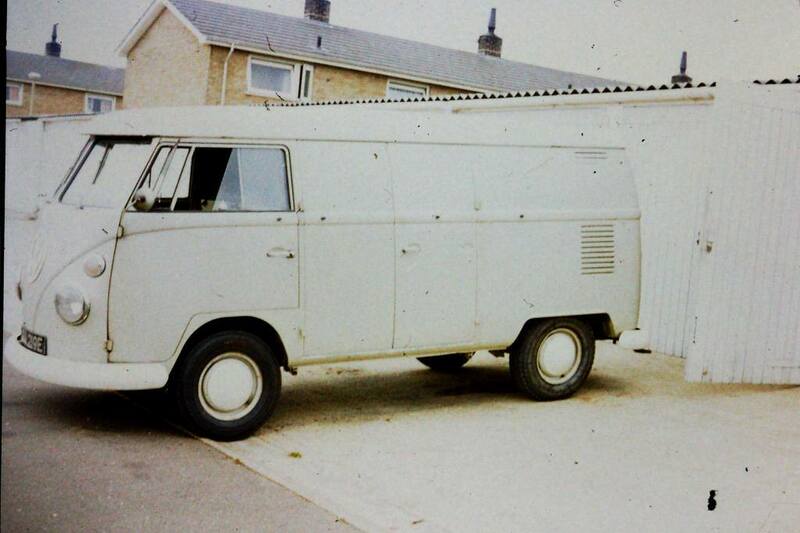 My dad bought her as a panel van way back in the early 70′s from a garage in Coltishall Norfolk. He cut all of the windows himself. He made a mould from timber to make the elevating roof from fibreglass and got Jeckles of Wroxham (a chandler) to make the PVC parts. He made all of the furniture inside, then resprayed it himself orange and white. Now all this seems a bit odd as the van in these images seems to have no windows in it. Perhaps the registration got switched.. 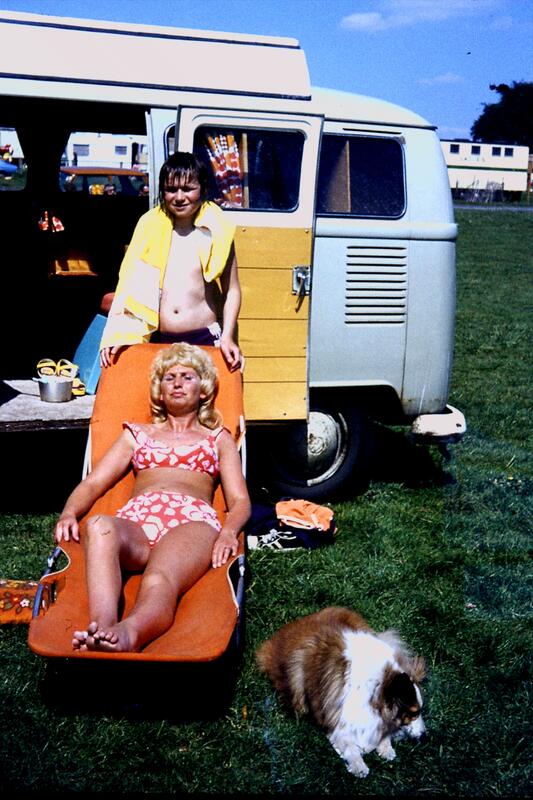 I am 52 now, we holidayed around the UK throughout the mid 70′s. I particularly remember touring the country of two weeks in the blisteringly hot summer of 1976. He sold it at the end of the 70s for… £600! I had a look back through the DVLA paperwork that I sent off for last summer, and found Kenneth John Fulcher on the photocopied registered keeper page of a logbook – the earliest piece of paperwork I have. 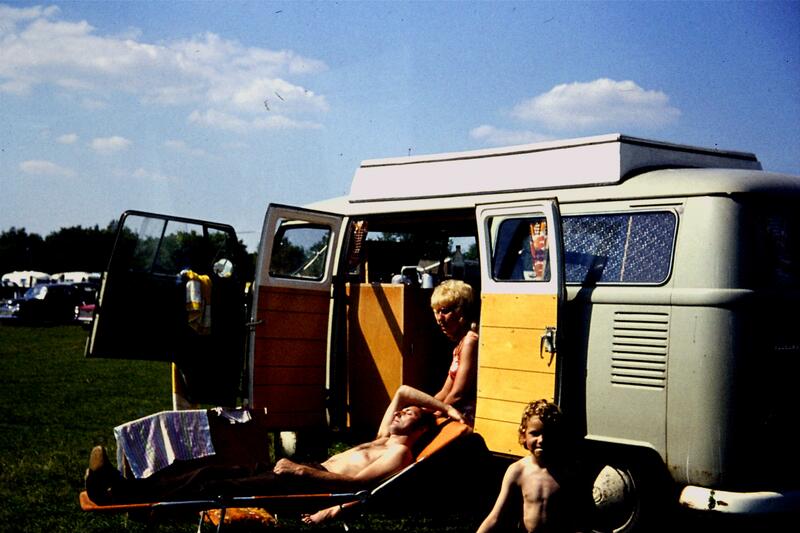 This was Ian’s dad – so proves that Ruby was indeed the van that he’d enjoyed childhood holidays in. Glenn mentions that he had removed a Devon pop top and Bay-style windows from the van, hence the confusion over her differing appearance. All I can say is that Dad did a brilliant job in turning a working van into a holiday bus for us kids – although Glenn’s point that she was adulterated maybe today well founded. But then VW panel vans were not as affectionately revered as they are today. You wouldn’t get the same reaction by someone who did it to a Ford transit or Commer of the day… or would you? 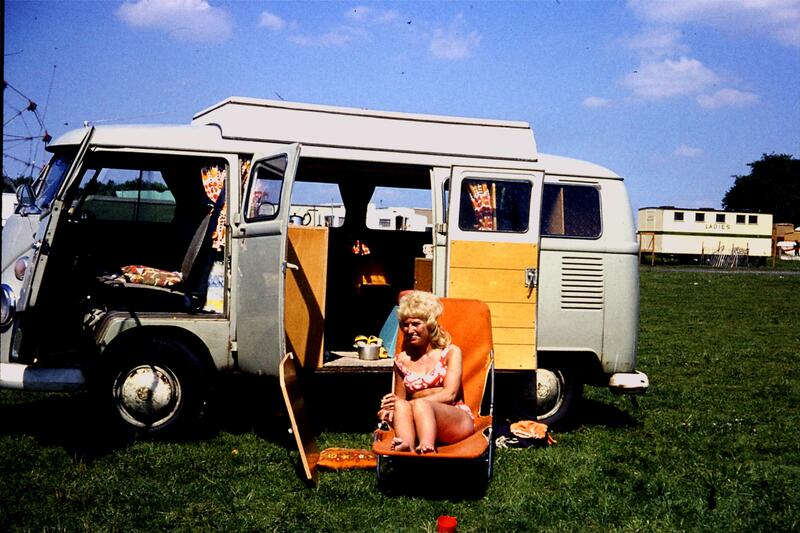 Indeed, did anyone foresee the cult status that the splitty would attain today, or the prices that they would command? Will we look back at the mods that people are doing to buses nowadays and be horrified? The bus gave Ken and his family many happy holidays, as evidenced by these fantastic photographs that he scanned in for us, having to go and buy a slide scanner especially! LPW 219E with Ken, Sylvia and Neil. LPW 219E with Ian and Sylvia. We feel very privileged to be able to see some more of the history of our van, thanks to the photos from Glenn, Marc and now Ian. Thank you so much for sharing some more of Ruby’s history with us! 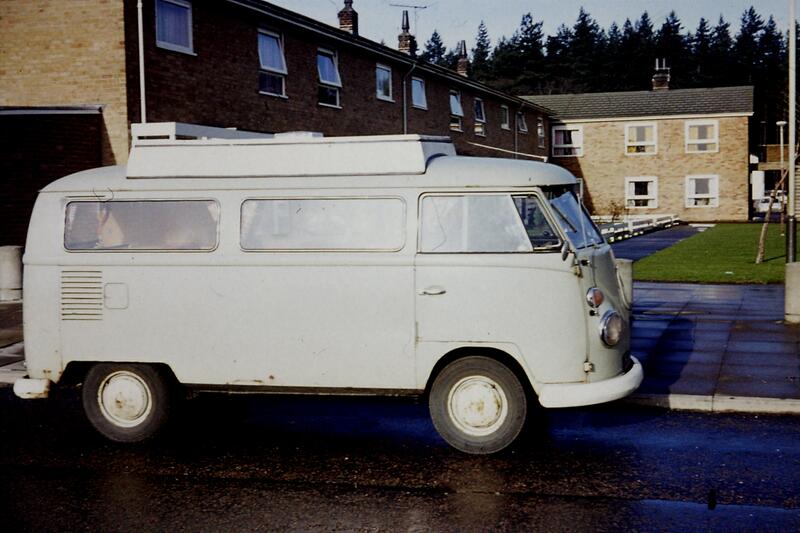 This entry was posted in Campers, Splittys and tagged camper, camper van, campers, campervan, camping, conversion, history, lpw219e, ruby, split screen, splitty, volkswagen, vw. Bookmark the permalink.